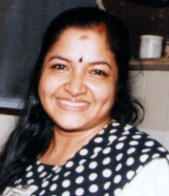 K. S Chithra is a veteran playback India singer and popular as Nightingale of South India. She has sung over 25000 songs in many different languages. K. S. Chithra songs consist of devotional, classical and other popular songs of Hindi movies. She has won many accolades for her exceptional singing. The popular Hindi songs of the singer are Kehna Hi Kya, Kasam Ki Kasam, Raat Ka Nasha, Pyar Tune Kya Kiya, to name a few. Her song, Kehna Hi Kya from the movie, Bombay is one of the evergreen hits of all time. BOTY has prepared a list of K. S Chithra all songs. The arrangement of these songs is made on the basis of their popularity. This collection will be updated with the release of every new song of the singer. Listen to these hit for free and enjoy your time. We hope you enjoyed listening to all the songs on the list. To listen to K. S.Chithra new song of 2018, keep visiting BOTY.